So, what is blockchain and how does it work? If you type "blockchain" into Google, you get endless results, an overload of information that can be confusing. In this article, we'll first explore the concept of blockchain before we dive into the complexities behind the revolutionary technology. Imagine you have a file of transactions on your computer and there's a pool of accountants having the same file on theirs. Let's call this file a shared ledger. Every time you make a transaction, your computer automatically sends an "email" to the pool of accountants to inform them. Each accountant then checks if you can afford the transaction. The first to check and validate hits "Reply All" to notify the rest. If all the other accountants agree, everyone updates the file. Blockchain automates the processes involved in the above scenario. It's a form of public ledger that keeps track of all transactions ever recorded within it. Think of it like a database, or a distributed database that's decentralized on a global scale where many computers or "nodes" across the world can connect and assume the role of accountants. As more nodes join the blockchain network, this ledger is guaranteed to be immutable because no single person can edit the record without collaboration. What’s the difference between public and private blockchain? What we see above is an example of a public blockchain network. These include protocols that are open source and permissionless, allowing anyone to participate or benefit from the technology. Some examples include Bitcoin and Ethereum. They are completely decentralized worldwide and you have access to the blockchain as long as you have a computer and an Internet connection. However, blockchain doesn't necessarily have to exist publicly. You can set up a private blockchain network that requires an invitation to participate and the access must be validated by either the network starter or by a set of rules put in place by the network starter. In other words, private blockchains require permissioned access and operate under the guises of a centralized organization. In that regard, many businesses plan to implement private blockchains to keep information from being seen by the public. As a result, they rely on their limited private networks to maintain integrity of the blockchain protocol. Theoretically, this means that the private blockchain is more vulnerable to being hacked or altered by those within the network because it's not decentralized enough. On the other hand, public blockchains can be maintained by anyone in different parts of the world as long as you have the computing power to do so. This is the beauty of blockchain technology as it allows full data transparency across an unlimited number of participating nodes that all together help limit the potential for nefarious acts. But surely, it's more complicated than simply public vs private. Often we hear people using the terms "blockchain" and "distributed Ledger" interchangeably. That's because blockchain is just one form of Distributed Ledger Technology (DLT), which is a kind of distributed database that leverages cryptography to provide a decentralized concurrency control mechanism and to maintain consensus. If you compare blockchain with traditional databases, the main difference revolves around the number of nodes and the performance. Traditional databases like RDBMS and replicated databases are centralized within a proprietary infrastructure. The control and security of the database remains with a designated authority. If the authority is compromised, the recorded data can be manipulated. Although the performance is much faster with lower latency among fewer nodes, traditional databases suffer from the risks of centralized control or a single point of failure. This is why many businesses are looking at distributed databases with decentralized control that relies on a consensus mechanism to maintain data integrity and transparency. Unlike traditional databases, blockchain is designed to be an "append-only" data structure. That means you can only append new data in the form of additional blocks, which will then be chained together with previous blocks of data. All data is permanently stored across more nodes and cannot be altered. In other words, blockchain is an immutable and distributed ledger. However, because of the nature of decentralization, blockchain suffers from higher latency and lower throughput, which result in the famous scalability problem that many talented developers are still trying to solve. So why is blockchain relevant and valuable? Even though blockchain suffers from the scalability issue, the technology still helps keep your transaction data safe through the use of cryptographic algorithms. That's because a blockchain is a continuously growing list of records (blocks) and each block typically contains a hash (a link to a previous block), a timestamp as well as transaction data. blockchain uses a hash function to turn data into a fingerprint of that data called a hash. This approach ensures that it's difficult to calculate back the original data from the hash and if the data slightly changes, the hash also changes in an unpredictable way. Therefore, it's more challenging for bad actors to manipulate data that's stored on the blockchain. In general, hashes form the basis of the security and immutability of blockchain technology. Remember that data is stored in blocks on the blockchain and then referenced by their hash. By doing so, it remains content-agnostic. And because blocks are explicitly ordered by their reference to previous block hashes, which reflect content, instead of being ordered implicitly by a numbering system, it's now more difficult to manipulate an existing order of transactions once data is stored. Therefore, with blockchain, data integrity remains intact and protected by design. Apart from the goodness of immutability and security, there's also no single authority as far as blockchain is concerned. The control is decentralized across multiple nodes that validate all the transactions. Blockchain promotes transparency while preventing double-spending attacks since the entire network needs to reach global consensus on the transaction order through a peer-to-peer system. Some working examples of consensus mechanisms include the popular Proof-of-Work (PoW) or Proof-of-Stake (PoS) algorithms. Ultimately with blockchain, we can imagine a world in which every agreement, process task and payment has a digital record and signature that can always be identified, validated, stored and shared in transparent, immutable databases where they are protected from deletion, tampering and revision. And because everything is embedded in digital code, intermediaries like lawyers, brokers and bankers might no longer be necessary. This is the immense potential of blockchain. Currently, finance offers the strongest use cases for the technology. Cross-border payments or international remittances, for instance, have always been an expensive and slow process. Blockchain is capable of speeding up and simplifying this through the use of cryptocurrency, which processes transactions in only a few hours. Having said that, blockchain is still broader than finance. In general, blockchain can be applied to any transaction where traceability, immutability and visibility is required. Even though blockchain is a promising technology, it must still overcome scalability and other deployment issues before mainstream adoption can happen. The speculative nature of cryptocurrency as an investment tool has also become a deterrent for most conservative institutions to adopt the technology. But regardless of the context, there's still a strong possibility that blockchain will impact your business. The very big question is when. Hopefully you've come to better understanding of blockchain technology from the above. The use cases for blockchain are indeed endless and almost every day we see new ones emerging from the market. But even so, I would say it's crucial for every businesses to evaluate and understand what they want from the technology because in some cases, traditional databases might suffice. But nevertheless, blockchain is evolving on a daily basis with many active ongoing developments, each of them trying to bring this technology to the next level where transactions are totally scalable and fast. Blockchain is more than just Bitcoin. With that in mind, stay informed of the status and development progress, disregard any price speculations and shift your focus towards the technicalities of the implementations behind the different blockchains available in the market. Don't panic, keep calm and start planning. 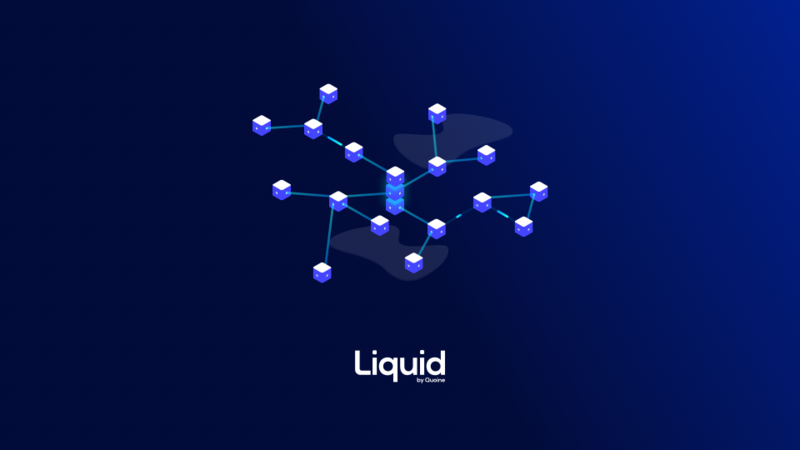 The decentralized future is near and you can be a part of it on Liquid.